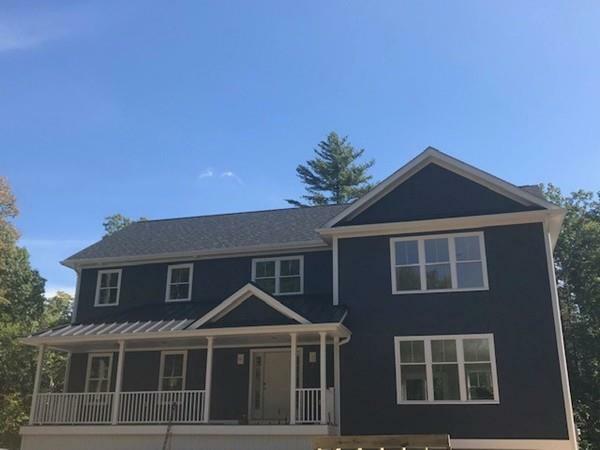 New Construction - House to include hardwood floors and tile throughout, gourmet kitchen, granite countertops, custom cabinetry, custom pantry and an open dining area with double sliding glass doors leading out to a giant (40x14) deck. All full bathrooms to have granite countertops (master bath will have double sinks) and tiled tubs. Second floor features additional family room with second floor laundry hook-up. The master bedrooms both include walk-in closets. The beautiful front porch(32x8) is constructed in composite decking with PVC handrails and covered with a exquisite metal roof. Lighting throughout house will be recessed with additional fixtures. House is set back 500 feet from the main street - giving just the right amount of privacy. Additional storage space in attic(52X12). Call today while there is still time to choose all of your finishes. *Interior finished photos are of similar previously built home.